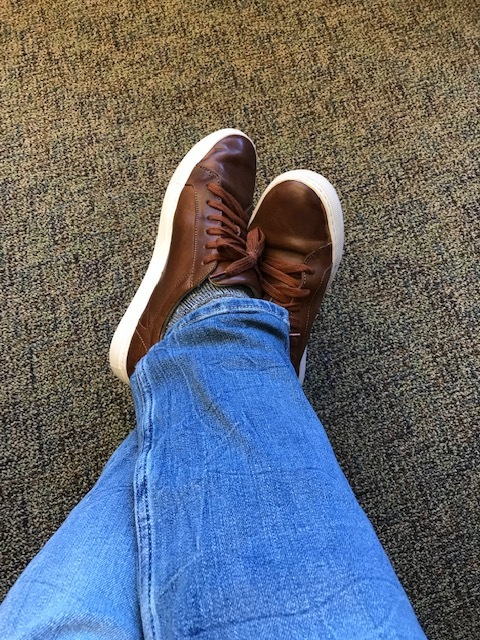 What shoes are you wearing today? 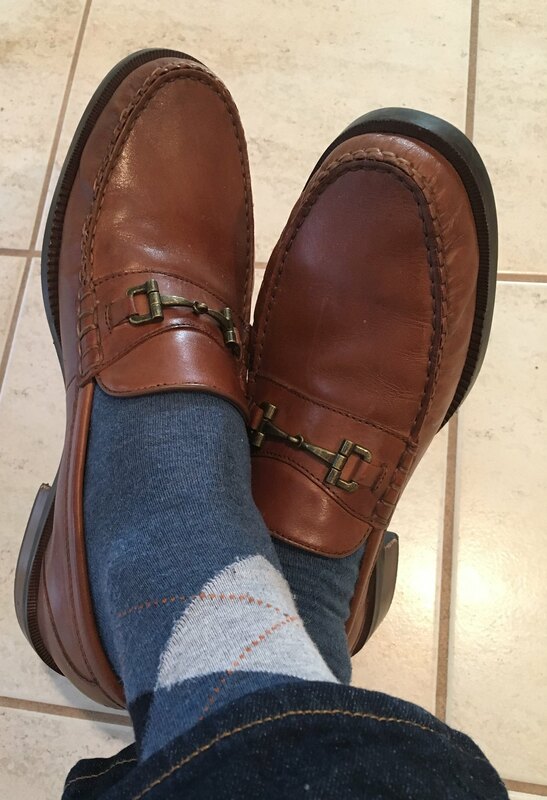 Thread: What shoes are you wearing today? 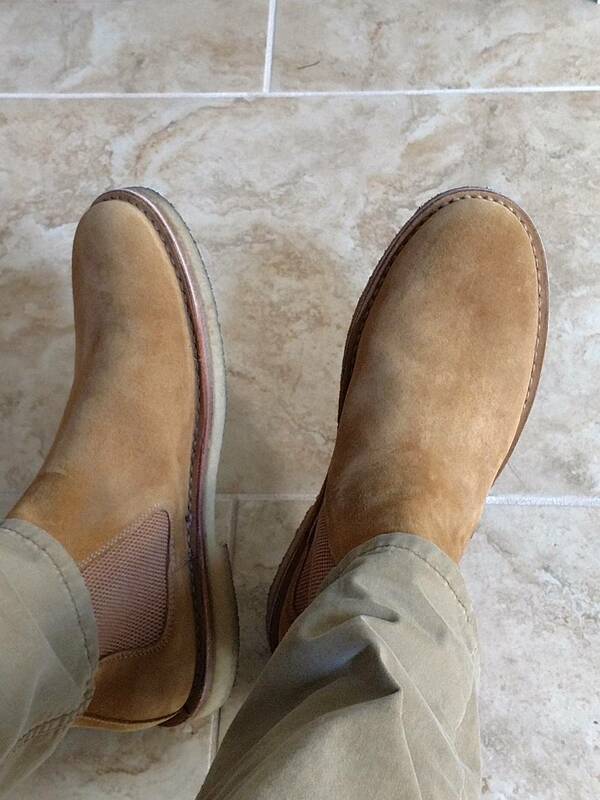 Bitflex Chelseas in "Cuoio." So comfy. Donald Pliner blue suede wing tip oxfords for casual Friday. Made in Brazil (isn't that where Beckett-Simonon makes their shoes? ), I think they are Blake stitched, but can't tell for sure. I suppose the stitching could be decorative. I can't imagine they are Goodyear welted for the $120 I paid. I quite like them and they are very comfortable for a size 12 (I am really a 12.5). "Super Soft" socks from Nordstrom. Last year I decided to try some socks made from "tech" fabrics instead of cotton or wool. I rather like them, so I purchased several more pairs when they were on sale. Great idea for a thread. 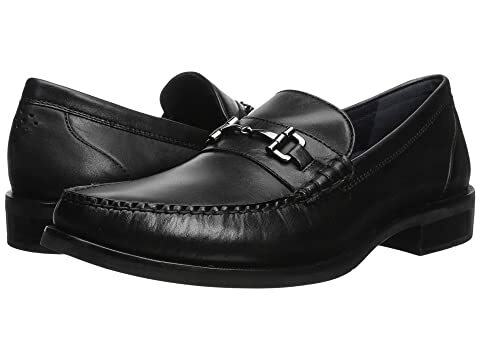 Cole Hahn Pinch Sanford Bit Loafers. Last edited by Ron; January 11th, 2019 at 02:46 PM. Reason: trying to get photos imbedded in post. Very nice! I have not been a Chelsea fan for the longest time, but they've definitely started to grow on me recently. 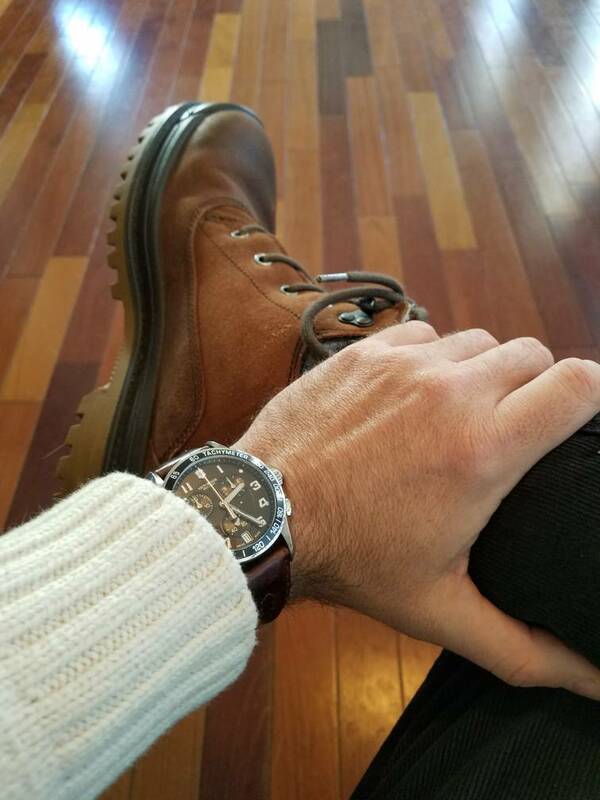 Then lately I've been getting targeted Instagram adds from Huckberry involving the Bitflex chelseas in Nubuck...let's just say I might be crossing the chelsea boot threshold at some point in the future. I found a generic photo of those shoes. Very smart. I always need to use the "insert image" button at the top of the text box. Oddly, it doesn't work for me if I just use the tags. Last edited by mebejoseph; January 11th, 2019 at 02:32 PM. The link has to be to a .jpg or similar image file in order to show in the thread correctly... I don’t think those shortened URLs work. Couldn't figure out the angle I wanted so I went with the tied and true "worn and wound" pose to kill 2 birds with 1 stone. Nothing fancy today. My feet were cold so I went with my kamik lined boots. Not loving the pant pairing because the leg opening isn't big enough but whatever, I am already dressed. Tried it that way still didn't work. It worked in a prior post I made but not any others. I can't figure out what is different.